I'm baking a lot, but, since it's summer, mostly for sale. 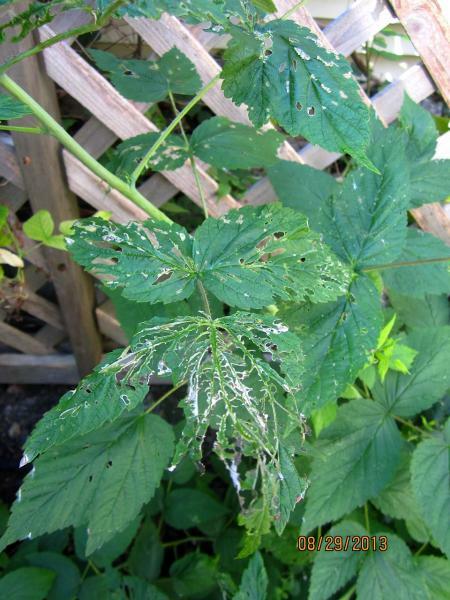 And then there are other time consuming projects like painting windows (with some tireless mosquitoes for company), massaging my husband's cramped neck (after installing aforementioned windows), and hunting for those friggin' Japanese beetles that turn my raspberry leaves into lace. My list of "Equal Opportunity Breads " still waits for more items to be checked off - I did some more, but got a bit listless after a few stubborn loaves just didn't turn out the way I liked. But in a recent weekend edition of "The Guardian", master baker Dan Lepard published an interesting bread made with whey  instead of water. From my last batch of Greek yogurt I had a lot of whey left over, sitting in my fridge, while I wondered what to do with it. 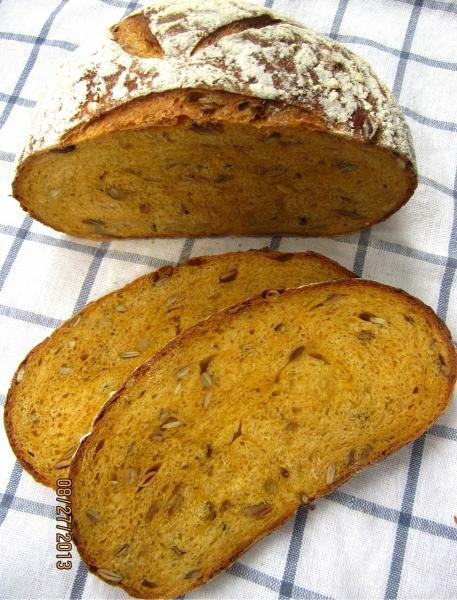 Pumpkin Whey Bread  was just what I was looking for! 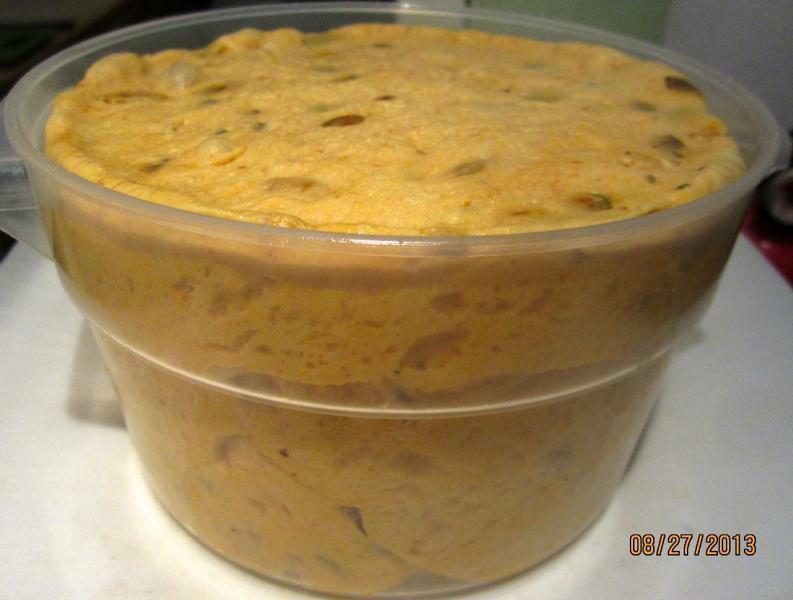 Dan Lepard cooked fresh butternut squash  for his puree, but here in the US good quality canned pumpkin is readily available, and preparing and draining pumpkin puree a time consuming process. 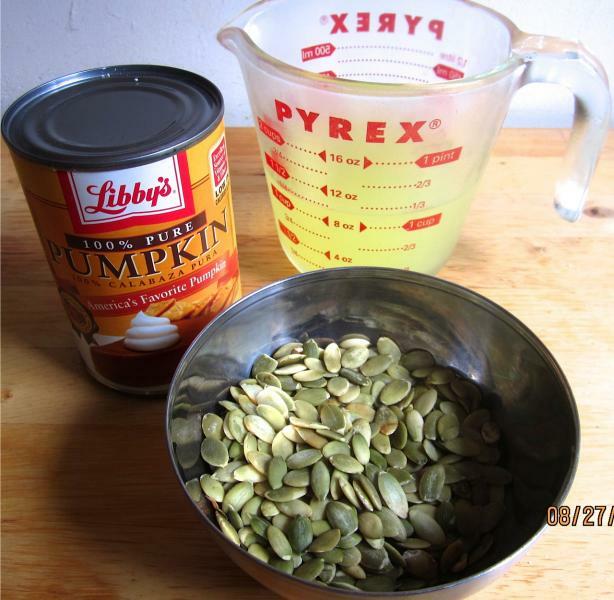 I always have a supply of pumpkin puree in my pantry (to satisfy a sudden craving for pumpkin pancakes or pumpkin chocolate chip muffins). But for those who don't (or prefer making their own), here is a link to the procedure . 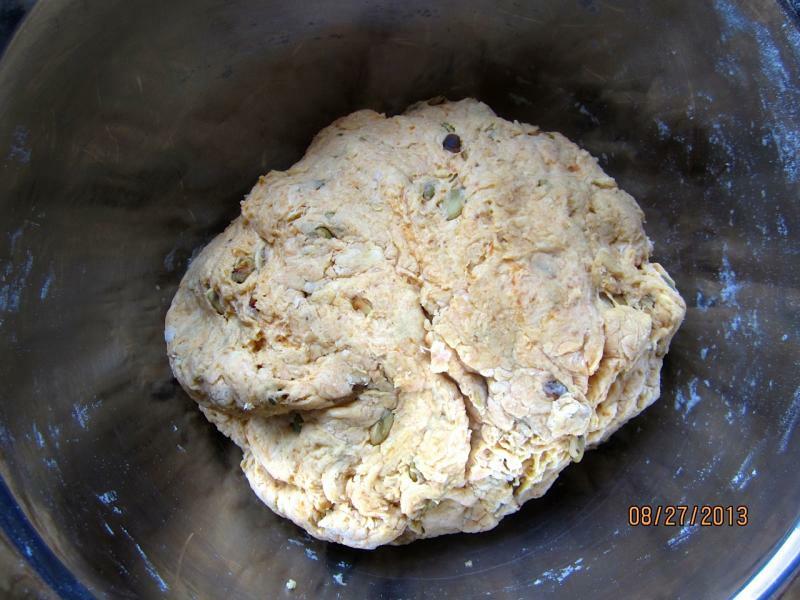 What I like about Lepard's loaves is his minimalistic approach to kneading. Much as I admire Richard Bertinet's breads: compare his 30-minute-complete-upper-arm-workout to Lepards 10 seconds of gentle handling. Normally I would use a stand mixer, but this soft dough can be easily (and less fussy) made by hand. Threatening dough overflow - next time I will reduce the yeast! Preferring longer fermentation I mixed the dough the day before, and let it slowly rise overnight in the fridge. It rose so mightily that it almost popped the lid. A sure sign that the instant yeast can be safely reduced to 5 grams down from the 7 grams the recipe requires. And, (for the good conscience) I substituted some of the white flour with whole wheat. My Pumpkin Whey Bread turned out really nice. It had a delicate crisp crust, and a rich, dark golden crumb. 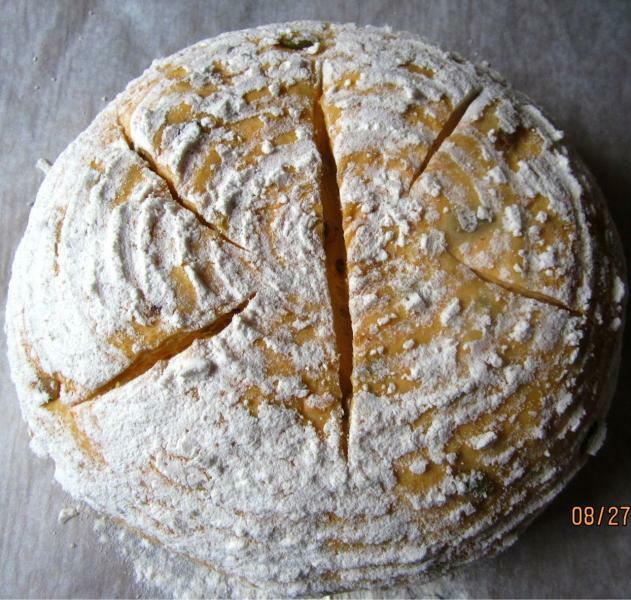 Very flavorful, it is a true multi-purpose bread, and can be enjoyed with ham as well as jam. It is also good for toasting. Stored in a brown paper bag, it kept fresh for several days. Striking gold with this wonderful tasty loaf!